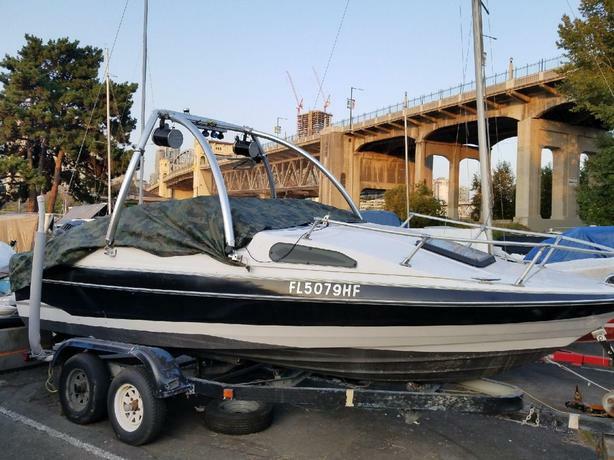 1990 Bayliner with 1996 Mercury V6 2 stroke motor and Boat trailer. Includes wakeboard bar and speakers... a steal! Currently parked at the Burrard Bridge Civic Marina. Motor is running but currently disassembled as it will need a new reed case...Overall, the boat needs about $500 in work. Please email or text for an appointment!